In 2017, Sara B. Larson’s Dark Breaks the Dawn, which was billed as a reimagining of Swan Lake, was released. 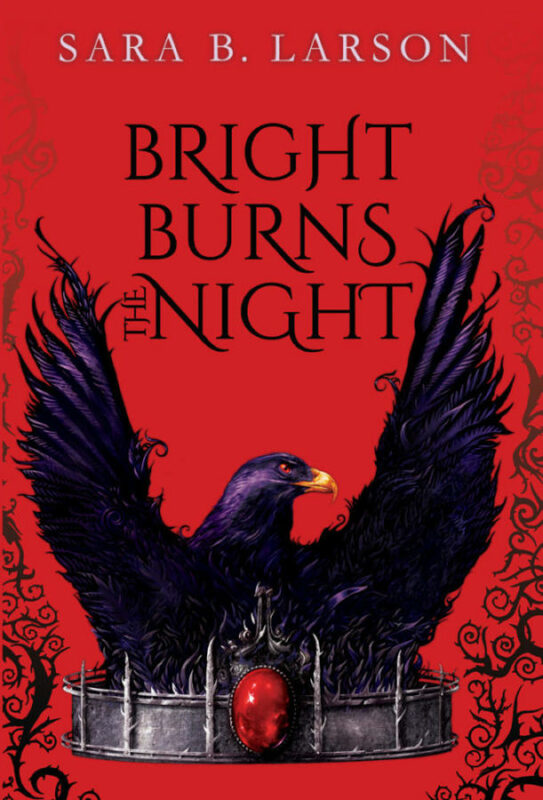 In May, the second book of the duology, Bright Burns the Night hit bookshelves, and it might be better than its predecessor. In Dark Breaks the Dawn readers are introduced to Evelayn, princess of Eadrolan, the Light Kingdom. When Evelayn’s mother is killed, Evelayn not only inherits her mother’s crown, she also inherits the war against King Bain and the Dark Kingdom of Dorjhalon. Evelayn defeats Bain only to be tricked by his son, Lorcan who cuts out Evelayn’s conduit stone and forces her into her swan form. The hope then had been to create peace, to balance Dark and Light. Trapping Evelayn has had the opposite effect. Without that balance, winter has taken hold and the Draíolon of Éadrolan lose more power every day. Lorcan wants to change that. He wants a truce, but it’s one Evelayn can’t accept because she can’t/won’t Bind herself to Lorcan for life. What neither Lorcan or Evelayn understand but soon will, is there’s something else at play. There’s an Ancient power pushing and pulling behind the scenes, and that power will stop at nothing to get what it wants. Soon Lorcan and Evelayn have no choice but to work together. Bright Burns the Night is an excellent sequel, and in many ways, I enjoyed it more than its predecessor. I think that comes in part because I left the whole Swan Lake idea behind and just focused on the book Sara wrote. I do wish I had reread Dark Breaks the Dawn prior to Bright Burns the Night, but I was still able to remember key points fairly well.